Liz Lutz is a professional aerial photographer working at Lockheed Martin Aeronautics Company. 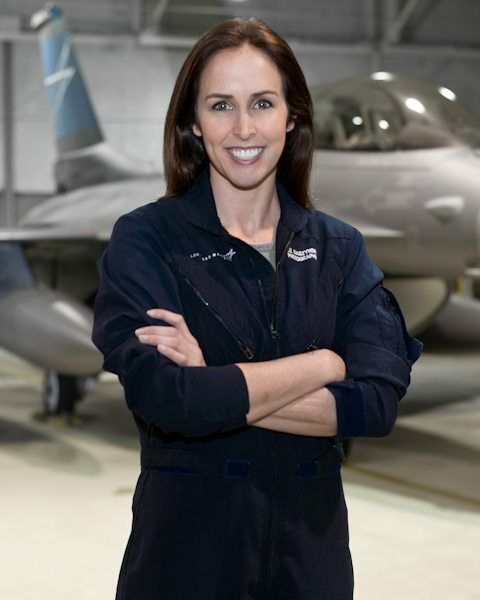 With 14 years of experience, and more than 500 flight hours in fighter jets, Liz has photographed the F-35, F-16 and F-22 in-flight, and her work has appeared in numerous media and print publications, including Aviation Week & Space Technology, Washington Post, Business Insider, Discovery Channel Canada, and Australian Aviation just to name a few. A graduate of the University of North Texas, Liz also works to inspire others to pursue non-traditional careers by supporting keynote speaking engagements at both industry conferences and in the classroom, and on occasion serves as a freelance photographer for clients like the Breitling Jet Team, to broaden her skillset.